Kissimmee is the heart of Sunshine State, Florida. It is the best holiday destination for families looking for a magical Vacation. From thrills to tranquility, Kissimmee, Florida offers the foremost adventure and best attractions on earth. Just a few miles drive from Orlando, Kissimmee vacation rentals puts you right in the middle of all the activities and attractions that flip family vacations into experiences that last a lifetime. Kissimmee is an excellent place to plan your Central Florida vacation. Discover a unique way to stay and play in Kissimmee, book your Kissimmee vacation rental homes and enjoy the luxury comforts of staying in our vacation home rentals with world-famous theme parks right in your backyard. 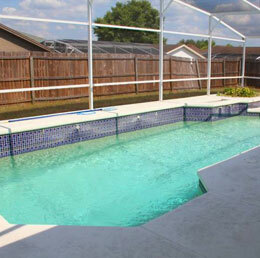 Get pleasure from the privacy and selection of your own Kissimmee Vacation rentals with personal swimming pool for an equivalent or less than hotel prices. Staying in a luxury Kissimmee vacation rental homes, you can save thousands of bucks, especially if you're traveling in a group of four or more. Everybody gets their own sleeping room if you're planning a trip with family or group friends. Advantage Vacation Homes has been helping visitors with their vacation plans to the Central Florida. We live in Kissimmee and are ready to consistently blow the competition away by offering the lowest costs on luxury Kissimmee vacation pool home near Disney World. We've user-friendly online booking system is very easy to use. Simply browse our rental properties, select a location, and then select a home rental that suites your needs and budget. Our server is totally secure so never need to worry about compromising your personal information and payment info.